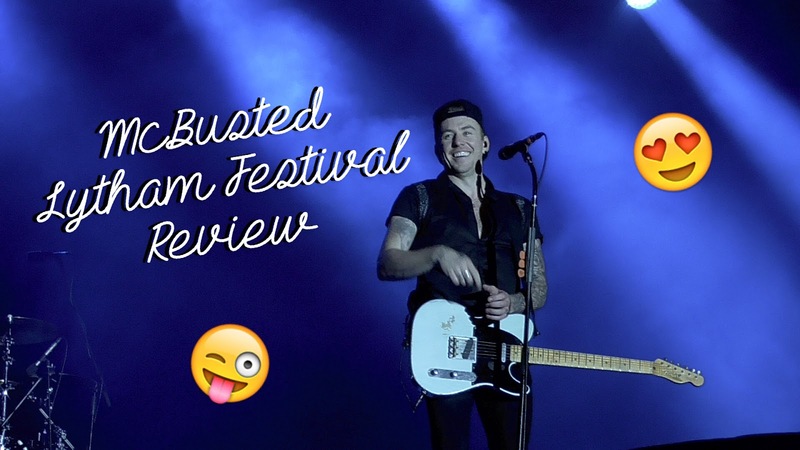 On Saturday 8th August 2015 I went to see McBusted at Lytham Festival. I had Get To The Front tickets, meaning we were in the front section of the venue. After queuing for several hours, I managed to get to the barrier for the show, something I've never experienced before. We were let in at 5pm, and the first support act came on at 6.30pm - that was Calum Scott, who featured on this years' Britain's Got Talent. He was my favourite support act by far, his voice was really good. The other two support acts were Hometown - an Irish boyband managed by Louis Walsh, and Karen Harding. Then came on McBusted. Me and my friend Jess were actually so close we got to see them do 'The Clap' - a ritual they do before every show - so we were very excited before they even arrived on stage. They leapfrogged on, as they did in every summer show, and started with Air Guitar and One For The Radio. These two songs are excellent choices for the beginning of the setlist; they really got the crowd going! Fans like me were singing along from the start to the end and the atmospehere was incredible. The setlist was very similar to the Most Excellent Adventure Tour, but without 3 songs. I won't say which in case it's a spoiler but I was quite disappointed they had to remove any! Even when they weren't performing, McBusted kept the crowd's focus throughout with their humour. One of my favourites parts of the show (and James Bourne's highlight of any of the McBusted shows ever!) was when Matt and Harry lifted up Dougie Dirty Dancing style whilst the crowd sang The Time Of My Life. It was an amazing moment unique to our show. I had a moment where me and James were pointing at each other (pictured above) and Danny also nodded at me! It was truly unforgettable. This McBusted show was possibly my favourite I've ever been to. It was incredible to be so close up to them and if you ever get the chance to be front row for your favourite band, it is so worth it! I'd love to hear if you've been to any concerts this summer in the comments below, and I also apologise if there has been a lack of blog posts recently, I'm currently on holiday but things will get back to normal soon so thanks for understanding!